Product prices and availability are accurate as of 2019-04-17 10:38:36 EDT and are subject to change. Any price and availability information displayed on http://www.amazon.com/ at the time of purchase will apply to the purchase of this product. 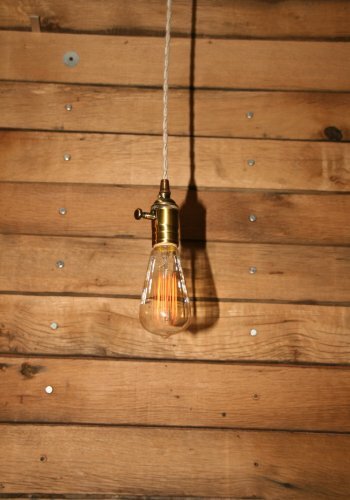 Unlike other pendant lights, this one is built to show the true beauty of the Edison bulb via the dimmer knob built into the socket. 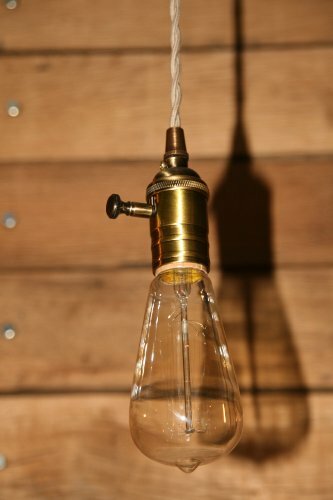 This allows you to dim the elements down to just a wisp of an amber glow then back up to a 60w bulb when more light is needed. //// ** We take great care in building our light fixtures, paying close attention to detail and using UL Recognized Components, however, as a whole fixture, it is not UL listed. Comes with 3' of your Sand color Vintage style cloth covered cord and a Brass finished canopy and the Antique Brass Dimmer Socket. We do have more cord colors (and canopy colors) available. /// Cord colors available are Black, Brown, Red, Ivory or Sand. Canopy colors available are Black, brass, chrome or an Antique brass/bronze looking starburst. 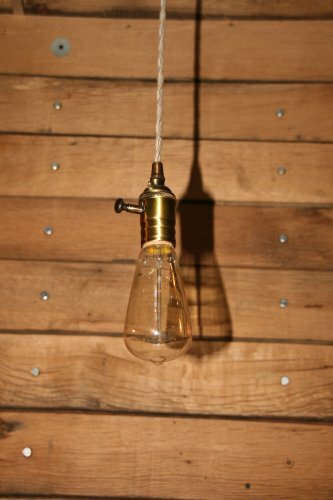 This light will come with the Sand colored cord and the brass canopy unless you email us Immediately after your purchase with a different choice.